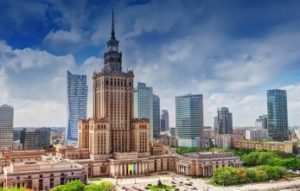 For the 25th time in a row, the International Travel Show will take place in the center of Warsaw. Undoubtadly, for many years it has been one of the most important events of the tourism industry. The show combines presentation of tourist attractions of various countries and regions of the world with presenting of tourist potential of Poland. In this event, the promotion of rural tourism and agritourism will be also present and noticeable. The Polish countryside which is permanently changing maintains its best values. It is closely connected with tradition, while modernity does not degrade natural values of both, landscapes and nature. Better and better equipped agritourism farms offering a variety of attractions have their regular visitors who are willing to rest away from the hustle and bustle of tourists. Rich landscapes make these farms offer great holidays the whole year long. I am deeply convinced that many visitors to the jubilee 25th International Travel Show in Warsaw are going to find in the region of Polish countryside a perfect place for rest for a longer or shorter time or just a weekend. The intriguing offer of agrotourism farms, ecological farmers or educational homesteads will undoubtedly meet the the interest of tourists not only from Poland, but also from other countries. The travel show means not only presentations, but also a whole range of seminars, conferences and meetings. All this makes everyone interested in turism find something particularly attractive for themselves. While visiting the show, I wish you many positive impressions and choosing the offers which are most interesting for you. I believe that among them offers of rural tourism and agritourism will be also included.